ome, a shelter for homeless women in El Paso, headed by Dorothy Truax, Executive Director, RTEP, Home Depot and Aid for the Needy succeeded in bringing the gift of clean to 13 families. It’s been almost two years in the making, but the new laundry room is finally ready to take on loads and loads of laundry! 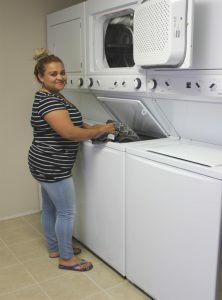 When the laundry room project, referred to as “A Gift of Clean” officially began in 2015, the 13 Reynolds’ home families only had access to a small, humble laundry room that held four sets of old washers and dryers. The endless loads of school and work clothes, baby onesies, and towels created a demand for an immediate expansion. 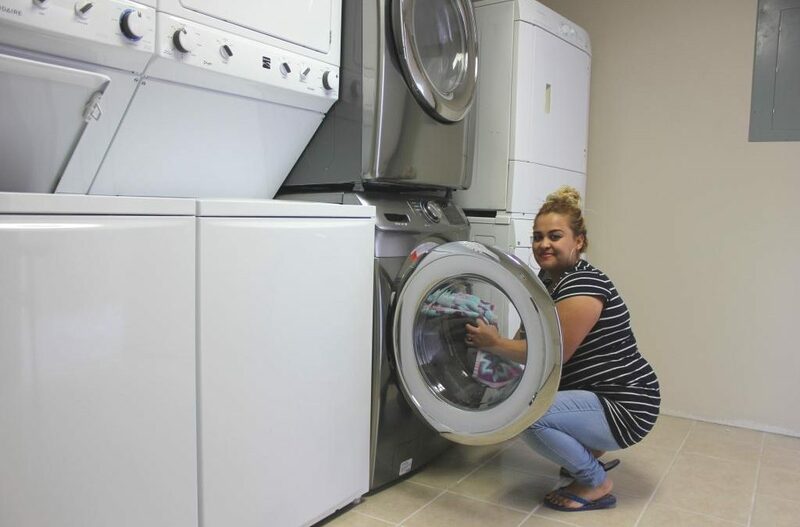 The 2015 Christmas season “Make a Gift of Clean” campaign expanded its washer-dryer units from four to six new washers and dryers, thanks to over $6000 in cash and donations by Jovenes Empresarios, Home Depot, and Chris and Chuck Joyner. The storage room adjoining the existing laundry room would provide a perfect area to house the new units but needed remodeling to accommodate the machines. In 2016, the remodeling phase for the project began and was soon completed thanks to the materials, funding and efforts of Rebuilding Together El Paso (RTEP), Home Depot, Karma Connects, and Master Plumbers Heinrich Uhmacher and Bill Tullius. RTEP received a grant from The Home Depot Foundation to provide The Reynolds’ Home with a totally new laundry facility. “ When you look into the room, you might say, ‘This is nothing special,’ because you can’t imagine how much technology exists behind those walls. We might not notice, but there is a lot of technical expertise and work behind those walls”, said a donor. Additional funding came from the German Military’s organization, “Aid for the Needy”, thru funds raised at their annual Spring Bazaar. The Reynolds Home now has a new laundry facility, a new retaining wall on the children’s playground & new flooring in the facility’s computer room thanks to the community working together. “This proves we can work and build together”, said another donor. Reynolds Home residents and staff are grateful for the outpour of support. On March 5, 2017, after two long years filled with loads of laundry, the new laundry room was officially completed and ran its first laundry load. The Reynolds Home, which now provides shelter to approximately 60 homeless mothers and 145 children, is proud of the beautiful new room and the families are thrilled to finally be able to have a place where they can make “A Clean Start” to their new lives. Rebuilding Together El Paso, Inc. (RTEP) is a 501(c) 3, all volunteer, non-profit organization that that repairs and improves the homes and lives of low income, elderly and/or disabled homeowners in El Paso, thus extending the opportunity to live a decent and independent life in their own home. This work is done at no cost to the homeowners through funding from grants, fundraisers and organizational donations; labor is provided by volunteers from organizations, schools and members of the El Paso community who dedicate time from their busy lives to make a difference for those unable to do it themselves. Every year, on the last Saturday in April (National Rebuild Day), hundreds of El Paso volunteers donate their time and sweat labor to renovate and repair these homes making them a safe, warm/cool and dry environment allowing them to continue to live in their own home as long as their health permits. 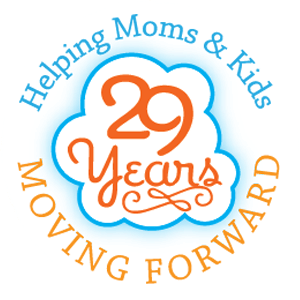 Nationally, tens of thousands of volunteers give back to their communities. To date, Rebuilding Together El Paso, Inc. has rejuvenated and repaired over 750 homes since its beginning in 1991 averaging approximately 22 or more homes on National Rebuild Day and 10 or more additional homes throughout the year. The average cost per home is over $4,000 for skilled labor and materials. The volunteers offset the additional costs that would be incurred by doing the non-skilled work associated with each home. With their help, RTEP can stretch its dollars to work on more homes and make a greater impact in the community. If you would like more information on how to donate to or volunteer with RTEP projects like us on Facebook at https://www.facebook.com/RebuildingTogetherEP915/ and send a message to our inbox. If you would like more information on how to donate to or volunteer with The Reynolds Home like us on Facebook at https://www.facebook.com/RebuildingTogetherEP915/ and send a message to our inbox.